Company promotional items are very useful in marketing and advertising products or services. They usually include the name, logo, or slogan of the business. Basically, there are four categories of promotional items: imprinted items that are given away as freebies, imprinted items that are sold, imprinted items that are given away as premiums, and free gifts. These company promotional items can effectively increase sales without compromising budget. They can be directed to a specific audience and they can last for a long period of time. Thus, they can advertise your business repeatedly without any additional costs. However, there are just so many promotional items; and choosing one can be quite a daunting task. Of course, budget is an important factor to consider. Before you invest in company promotional items, see to it that you have sufficient funding. Avoid overspending as much as possible. Identify your costs and include them in your overall pricing strategy and marketing budget. Keep track of all company expenses, especially indirect costs such as handling, storage, and shipping. It is also more ideal to order by the bulk than by batches. Aside from budget, you must also consider the shelf life of promotional products. Perishable products like food and beverages have the shortest shelf life. Other promotional items such as calendars and planners can also get outdated. So, you must not buy more than you actually need. If you do, you will just waste money and your stockrooms will be filled with unnecessary clutter. 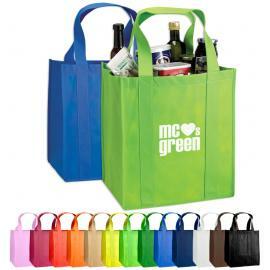 Moreover, make sure that your company promotional items are functional and related to the business that you are into. They should not only be useful to your customers, but they should also build awareness of your company. Whenever customers use or take a look at your promotional item, they should be able to know what your business is about right away. For instance, if you are into the food business, you can give away fridge magnets, ladles, and aprons. If you are into auto dealership, you can give away car stickers, keychains, and license plate holders. If you are manufacturing shampoo or similar hair products, you can give away samples in sachets or small bottles. In addition, you may also use the tried and tested promotional items like t-shirts, caps, umbrellas, pens, notepads, bags, coasters, cups, and mugs. These items can be used or worn daily; thus, more people will be informed about your business. Each time they are used, they help reinforce your brand. 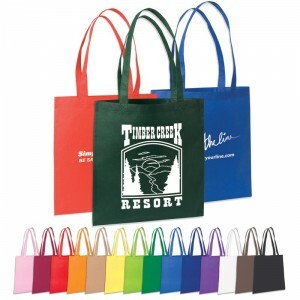 People will also easily recognize your company name and logo, thanks to these promotional goods. Company promotional items are essential in a business. They are a convenient way to publicize your product or service. They do not need to be costly, though. The main purpose of using these items is to promote and let your business be known. So, you must choose items that will stand out and get your message across. It is not ideal to go for something that does not have an impact to customers. It is not ideal to choose something that is just kept in a drawer and forgotten either. When a business is in need of promotional products, an increasing number of companies are relying on exporters and wholesalers. This makes it possible to quickly and affordably stock up on promotional products and corporate gifts. 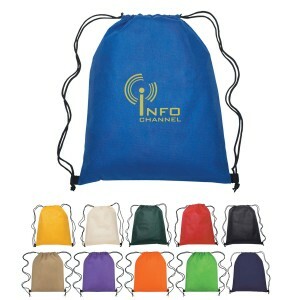 Each promotional item will bring exposure and profit to the business, provided they are wisely selected. Customized promotional and corporate gifts are an excellent way for a business to promote employee loyalty. Overall, promotional items are a great solution for motivating personnel and staff as well as reaching out to prospective clients. Furthermore, they increase the popularity of your company’s brand throughout your market, making your company better known. Since consumers typically buy from businesses they know and trust, it can help to increase your company’s revenues. This can be of a great benefit whether you are in a new business just starting out or you are an established business looking to expand into new territory. Many companies choose to place their logo on the promotional items they choose. Consequently, it allows their promotional gifts to serve double duty by also marketing their company. When you select the right promotional items, such as corporate clothing, you can be sure that your corporate gifts will be around for a long time to market your business. These types of promotional items are typically highly valued and kept for many years to come. Suppliers specializing in the wholesaler industry understand that in order for their promotional products reach a target market, the items they provide must be usable and popular. Therefore, bags, wallets, bottles, folders and corporate clothing are frequently used as promotional items and corporate gifts. Your business logo can be easily shown off on any of the promotional products you choose, making it more familiar to your existing clients and prospective customers. Wherever they take or use your promotional item, it will be on display for others to see. These types of promotional items can provide your business with advertising returns well into the future. 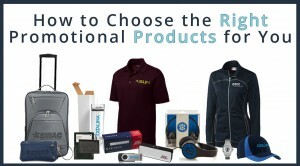 When choosing your promotional products, it is of extreme importance that you take care in the selection of the exporter or wholesaler you choose. Selecting a company that offers low prices will allow you to stop of on promotional products at a wholesaler rate.